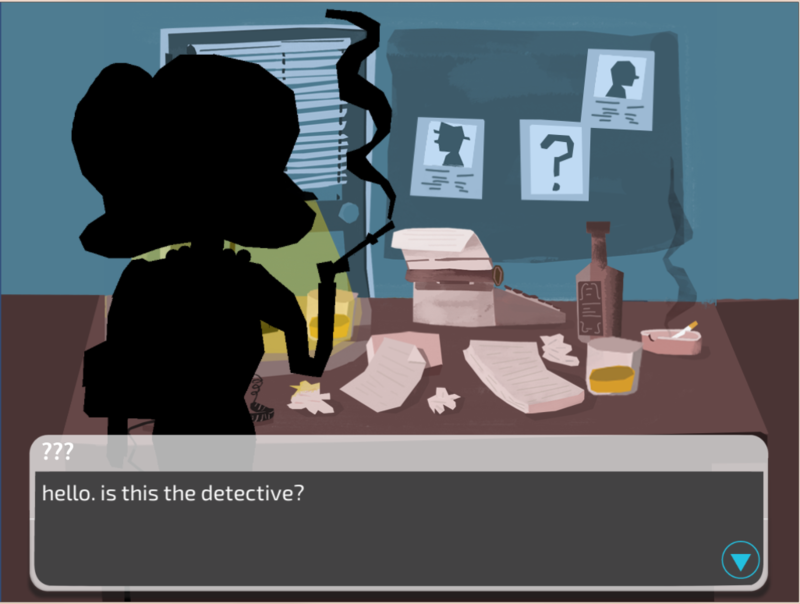 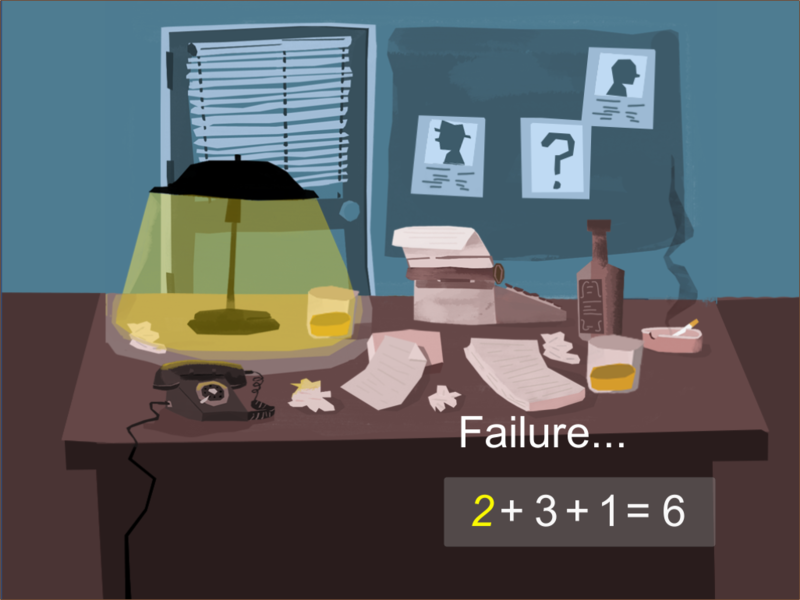 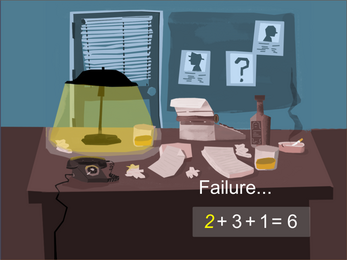 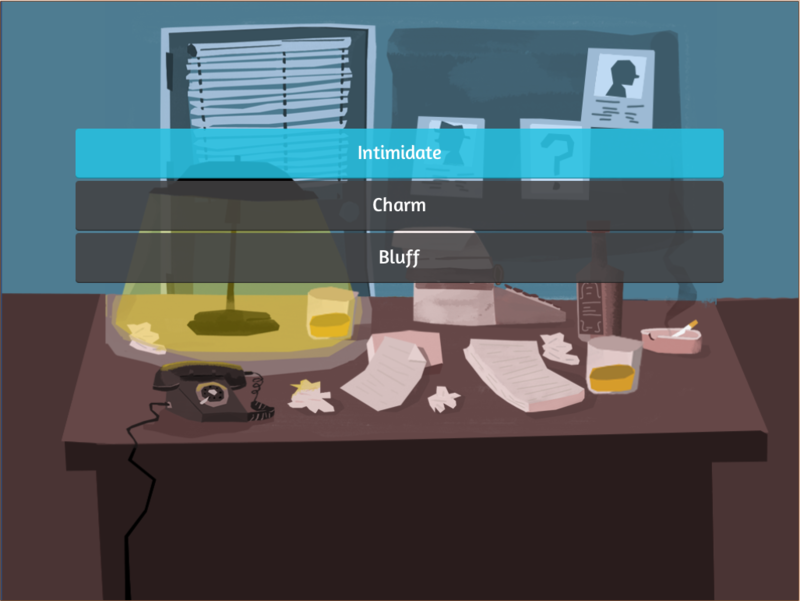 An interactive fiction detective game. 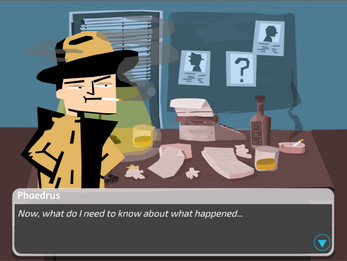 Help the Detective crack the case of the wrong thread by picking the right choices and using his trio of skills to squeeze extra information out of people. A small proof of concept trying to test out some stuff.